Seriously, be mindful about how much the information/services that you administer are worth, and what could happen if they were compromised. Then consider carefully if you need to hire extra help or educate yourself more in the subject, security breaches can seriusly f@#* you up, your close ones, and people you dont even know. SSL (Secure Socket Layer) is an old protocol deprecated in favor of TLS (Transport Layer Security). Authentication: ensures that whoever is sending them is who he says he is. Additionally it detects missing and duplicated messages. TLS is the primary way to secure web traffic, and is mostly used for that purpose. A whole lot of pages trust that TLS is secure (from the smallest online shop to Facebook), that is why things like POODLE and Heartbleed receive so much press. 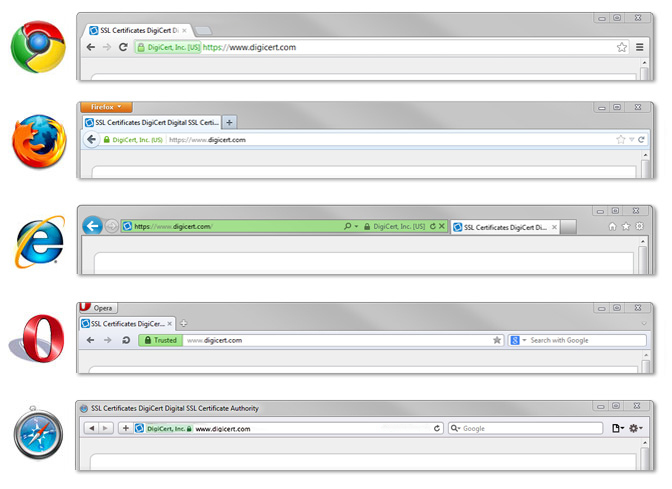 At this point I want to make something abundantly clear, SSL IS BROKEN, ALL THREE VERSIONS. The latest one, version 3, had its confidentiality severely compromised by POODLE. DO NOT USE SSL. First I’ll briefly explain how TLS offers confidentiality and integrity. We will leave authentication at the end as that will be the bulk of the tutorial. I will be using a lot of crypto jargon here so do not fret if any of this seems too alien to you, generally you won’t be fiddling with this directly as TLS negotiates much of this for you. However I do recommend getting familiar with the basics of public key encryption. Not the inner workings mind you, just how they are used in practice to encrypt/authenticate. The Stanford course in Coursera about Cryptography is an awesome starting point. For confidentiality TLS uses either Diffie-Hellman (elliptic curve mode supported) or RSA for the key exchange. With the whole Heartbleed debacle, it is now recommended using a key exchange mechanism with forward secrecy, which implies Diffie-Hellman in this case. The actual encryption is normally done using AES with several modes available (CBC, CCM, GCM). For integrity normally HMAC is used, today is pretty much mandatory to use SHA256. Authentication is the part that you will most likely have to fiddle with the most and the one that actually costs you money, it is also essential for the security of your communications: You. Cannot. Have. Secure. Communications. Without. Authentication. How is that you might ask? Well the thing about confidentiality and integrity is that they are worthless without authentication. If there is no way to ensure that the guy that says "I am gmail.com I swear" is in fact gmail.com and not evil8yoldhacker.com, then you could potentially encrypt and validate a spurious connection. So without authentication you would be open to, for example, MitM (Man in the Middle) attacks. But how can you authenticate a server if you have never seen it before, and let alone exchanged any credentials with it? The answer is TLS certificates. Certificates are just a public key with a bunch of information attached to it, such as the FQDN being authenticated, a contact email, the “issued on” and “expires on" dates, among other things. The server stores and keeps secret the corresponding private key. TLS uses these keys to authenticate the server to the client. Recall that in public key cryptography, messages encrypted with the public key can only be decrypted using the private key, but messages encrypted with the private key can be decrypted with either. The owner of the keys keeps the private key secret, and distributes the public key freely. TLS uses a variation of this technique, but is essentially the same. Now, even with this trick validation of a certificate is not straightforward, so for didactic purposes we’ll begin with an oversimplified, naive and flawed solution. The encrypted hash created appended to the certificate is called a digital signature. In this example, the server has digitally signed its own certificate, this is called a self-signed certificate. Now, this scheme does not authenticates at all if you think about it. If an attacker manages to intercept the communications or divert the traffic, it can replace the public key on the certificate with his own, redo the digital signature with his own private key, and feed that to the client. The problem lies in the fact that all the information necessary for verification is provided by the server, so the only thing you can be sure of is that the party that you’re talking to has the private key corresponding to the public key that it itself provided. This is why when you connect to an entity with a self signed certificate browsers will give a warning, they cannot ensure that whoever you are communicating with is who they say they are. However, these kind of certificates are really useful in some scenarios. They can be created free of charge, quickly, and with little hassle. Thus they are good for some internal communications and prototyping. So that did not work out. How can we solve it? Well, since the problem is that the server provides all the information for authenticating the certificate, why don’t we just move some of that information to the client? The client generates its own hash of the certificate and decrypts the provided hash with the public key of the copy of the certificate that was provided earlier in the USB drive, this way it ensures that: 1. the certificate has not changed, 2. whoever signed it has the correct private key. If someone intercepts or diverts the connection, they have no hope of passing our random number challenge and providing a valid certificate, without the private key that is computationally infeasible. The “driving over to the client after lunch with an USB drive” is called an out of band process. Now this solution actually authenticates, and is sometimes used for internal communications. However it is not very practical for several use cases. It would be cumbersome to have to download a certificate every time you need to access a new secure website like a bank or eshop, or worse, waiting for someone to drive over to you house after lunch with an USB drive. Moreover, you have to ensure that the certificate is not tampered with on the way, which is one of the problems TLS should be solving for us in the first place. There is also the problem of what to do when the certificate expires, or how to revoke it if the private key becomes compromised. Well, we got something working, but it is not quite ready for use on the landing page of your online store yet. How can we solve it? Well, here is where money comes in. Meet Bob, he is a well known member of the community, a truly and responsible fellow loyal to a fault, and he comes up with a business. He will create a self signed certificate, and will give it freely to everybody using an out of band process (let's say, during a neighbourhood-wide free-of-charge barbecue), he will then charge you a fee to digitally sign your certificate using his private key. Therefore, anyone that has his certificate signed with Bob’s private key can have it authenticated by anyone that has Bob’s certificate (because Bob’s certificate has his public key). Bob will make sure nobody impersonates anyone. If he receives an email from you saying that you want certain certificate signed for your company, Bob will go to your house personally and ensure that it is your certificate, that it is your company, and that you did sent out that email...you can never be too careful with all these 8 year old evil hackers. When Bob’s certificates is about to expire he will make sure he gives you a new one. If anyone wants to revoke his or her certificate they can just tell Bob to put it in his list of revoked certificates, when somebody tries to authenticate you with a certificate they will call Bob to check if that certificate has been revoked. They do charge you though. Depending on the kind of certificate the prices vary. The process where a third party that both the server and the client trust signs the certificate of the server creates a chain of trust. With TLS, we create chains of trust using CAs as our third parties. Note that your data will not have a stronger or weaker encryption depending on how much you pay, all TLS connections use some form of AES, how strong depends of what the client and server are able and willing to handle/use. For example, many servers refuse to use SSLv3 since the whole POODLE scandal, some older clients do not support the newest encryption algorithms, some servers have not been updated, some clients use Internet Explorer. Now, you might wonder, if every certificate gives me equally strong encryption, integrity and authentication, why are some more costly than others? Well, CAs generally charge you more for certificates that will be used on several machines, so for example a certificate for *.talpor.com will cost more than one for www.talpor.com (notice the shameless self-promotion). However, what CAs really sell is not certificates, is trust. You might remember the part where "Bob will make sure nobody impersonates anyone". Well, depending on how hard the CA tries to do this, it will charge more or less. There are three tiers of certification. Domain Validation, Organization Validation, Extended Validation. Domain Validation is the cheapest and most basic form of validation. The CA just tries to make sure that you have some kind of control over the domain that you are trying to get a certificate for. They take a few minutes to validate and setup. A common way to do domain validation is as follows. Lets say that you want a certificate for alice.com. After providing all the necessary information to the CA to generate your certificate (more on that later), the CA will give you a list of emails in the domain associated with the certificate, say for example: admin@alice.com, sysadmin@alice.com, webmaster@alice.com. You are to pick one where a confirmation email will be sent, and here is the catch, you have no say as to which emails appear in that list, so you better have access to at least one of those. Another common method involves probing the WHOIS database for the domain associated with the certificate. Organization validation and Extended Validation are more expensive, EV is a simple upgrade over OV, so EV certificates are the most expensive ones. These kinds of validations not only include the usual domain validation checks, they also make several checks to ensure that the company asking for the certificate do exist, physically and legally. These checks can range from phone calls to signed letters from the CEO. Because of this, these kinds of certificates can take several days to come out. When faced with an EV certificate, browsers have some visual queue (green most of the time) that makes the address bar look more trustworthy, such as the green bar of Internet Explorer, or the big green square with the name of the company of Chrome. To identify an EV certificate browsers use the CertificatePolicy extension field, each CA has a public list of values for this field that identify their EV certificates. Now armed with all this knowledge, you want to create your very own certificate for your puppies and cats hospital webpage, how you do need to go about it? Well, here are a few instructions for Linux systems. We will just cover step 1, as the rest are outside the scope of this tutorial. The CSR is just your public key bundled with a bunch of parameters such as the domain to be authenticated, the encryption algorithm of the key, a digital signature to prevent tampering, the company name, the country, city and state, etc. Sending a CSR to a CA is very much like asking a very specific autograph from them. Notice that CAs may ignore many fields of the CSR (company name, country, etc) if your certificate will only be domain validated. This command will prompt you for some information regarding the CSR, such as the domain (which is called common name), country, company etc. You can leave them all blank except for the common name. To sign your own certificate you can either use an existing CSR and private key, or just create one from scratch. This command will prompt you for some information, if you’re looking for something without interactivity look up the -subj flag. One thing that might baffle you at first is that CAs sometimes give you many certificates. There are practical reasons for this, but the bottom line is that one of those is your certificate, and another one is a root certificate that corresponds to a private key that signed one of the other certificates, which in turn corresponds to a private key that signed another one, and so on and so forth, forming a chain that eventually signs your certificate. These intermediate certificates are called, well, intermediate certificates (Hurra for imagination). What you have to do is simply concatenate the certificates in the correct order, beginning with the certificate for your domain, and ending with the root certificate. To figure out the correct order check first if your CA provides instructions, or if they gave you an already bundled version of the certificates. If not you can check the “Subject” and “Issuer” fields of each certificate. The “Subject” field contains an identifier of the entity associated with the certificate, the “Issuer” contains the identifier of the entity that signed it. Well no, you cannot do that: certificates have a field that determines whether or not its private key can sign other certificates (Extensions -> Basic Constraints -> CA: FALSE), and you cannot change this field in the certificate that the CA gives your because it would ruin the signature (recall that the signature is a hash of the certificate contents encrypted with the private key of the CA). That about does it. There are a few details and a plethora of information and subjects that are not covered here, but from a practical standpoint this encompasess the very basics. As usual, I leave a list of useful links at the end. If you find an error, typo or another useful link, hop on in the comments and let me know. Posted on July 19, 2015, 11:26 a.m.